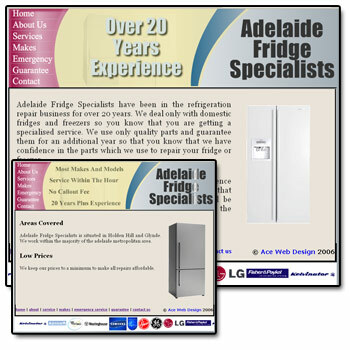 I was nearing the completion of the web site design for my Dad’s busines, Adelaide Fridge Specialists. Unfortunately my father passed away just before completion. May he rest in peace. My dad will always be missed for his outgoing personality and his tremendous generosity.